Over Size Music 's very own frontliner - Gentle , starts his 2019 musical journey with a mid tempo love song dubbed "Sarafina" , a tune he's decided to dedicate to all lovers out there as we prepare to celebrate lovers' day. Produced by Oxford De Classic, the Eastern superstar - Gentle , leaves his trademark signature voice on this one and as always, came through with a tune that should last in our hearts for a long time to come. Listen up and join the "Over Size Music" movement as great stuff unfolds in the coming months. 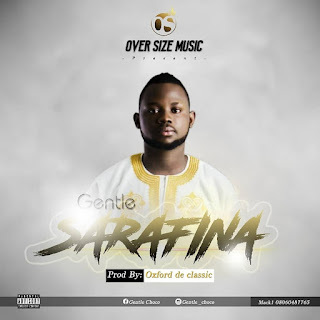 Enjoy "Sarafina" and share with friends.